By Valentina Zezelj on 10. April 2018. Every new app starts its life the hard way – on the cold, dark bottom of an app store. How fast it rises to the top depends on the number of people that click the magical download button. But, you don’t want to simply boost the number of app downloads. You want something much more valuable – quality users who will not forget about your app as soon as they download it. To get to those users, you’ll need a way to track users’ journeys from their starting point to the download of your app, and further. In other words, you’ll need Mobile App Tracking. 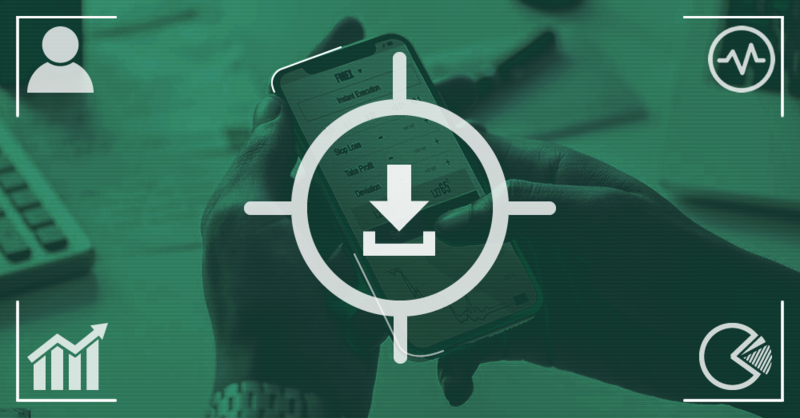 Mobile App Tracking is a smart mobile app attribution tool that has one very important superpower – it can connect all dots of user journey. This means that it can connect each app install to the very ad and marketing source that drove it. Moreover, it can track what users do in that app afterwards (for example, buying an extra life in a game). Well, if you can differentiate active app users from inactive ones, AND find out where they came from, you can easily discover how efficient your marketing campaigns really are. In other words, you get to know which marketing channels are bringing you valuable users and which are a waste of money. With that knowledge, it’s easy to distribute your budget among successful channels and eliminate unnecessary costs. Furthermore, knowing what users frequently do or don’t do in your app provides a huge advantage. You can pinpoint all benefits and flaws of that app and use that information to optimize not only your marketing campaigns, but also the app itself. In times when your target audience has an average attention span of a goldfish, getting them to download an entirely new app can be can be incredibly hard (and often expensive). However, if you know where your target audience is, you can easily optimize where you advertise and increase the chances of attracting your ideal audience. Thanks to the latest technology we’ve built into MAT, your campaigns can now achieve optimal results at minimum cost. So, if you want to grow your app’s user base, make sure to invest your budget into what really works. Contact us today and find out how to reach desired users fast and cost-effectively.